When your crowd demands popcorn, you can rely on these popcorn scoops to handle the job. 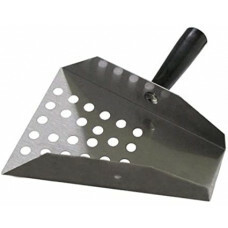 The aluminum speed scoop is designed for quick and easy filling of bags and boxes. Dishwasher safe.